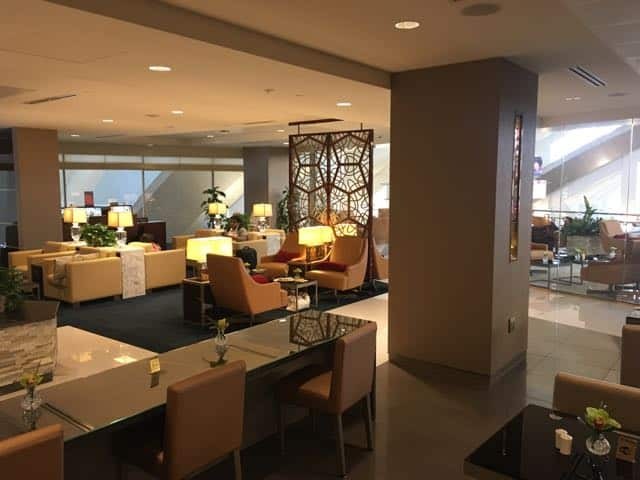 The Emirates Lounge LAX is a beautiful new space with good food and a relaxing option for First and Business Class passengers. 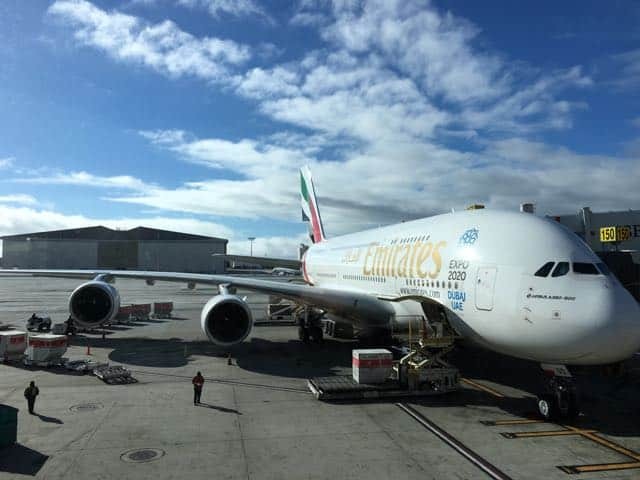 I decided to fly to LAX from Seattle first so that I could get the true Emirates First Class experience by flying the A380. Emirates has two flights a day out of Seattle to Dubai but both are on the 777 which doesn’t have the shower or bar. The runways at SEA can’t handle the A380 (except in an emergency) plus it is Boeing territory. 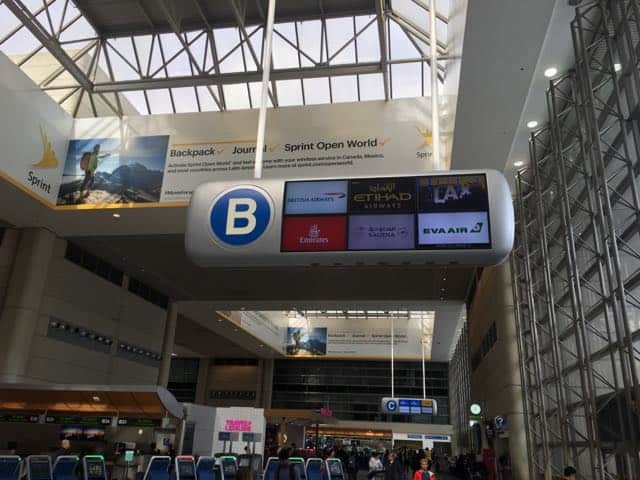 I arrived at LAX with 3.5 hours until my flight which was a perfect amount of time as I wanted to pick up my bag and recheck it with Emirates before going to the Emirates Lounge LAX. Note: Alaska would have checked my bag through to DXB; however I felt safer walking it to the Emirates counter on my own and had the time. Checking in 3 hours ahead of time was a breeze; no one was in line at any of the Emirates counters; let alone the First Class counter. I was given my ticket, printed with info about lounge access. My bag was also flagged with a “Priority” tag. 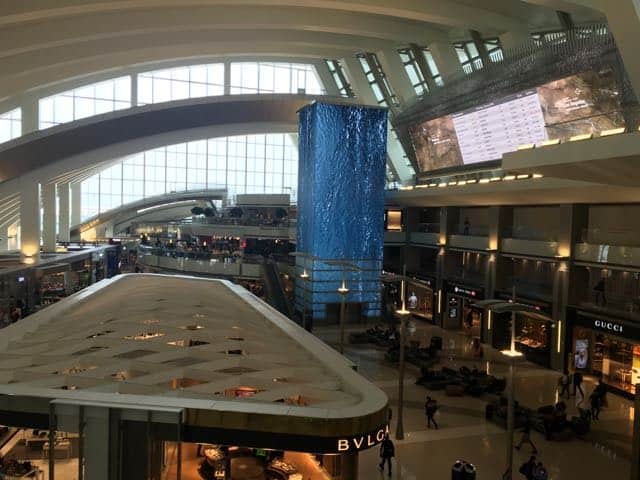 While there is a special First/Business Class security line at the Tom Bradley Terminal; there is no TSA Pre Check. 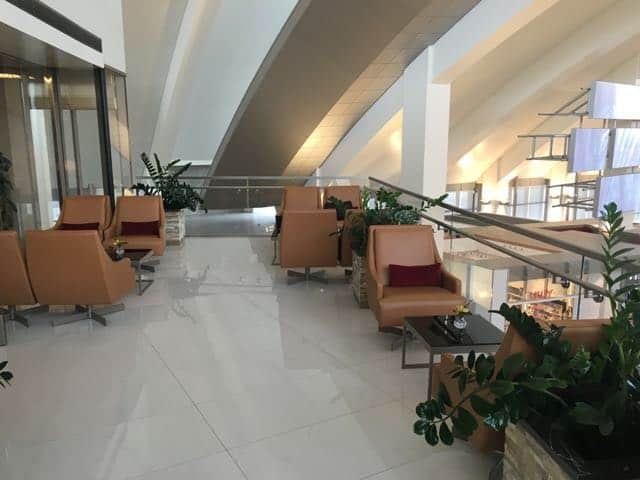 Once through security, all the lounges are immediately to your left up a couple of floors. Emirates lounge LAX is on the 6th (top) floor of the terminal. 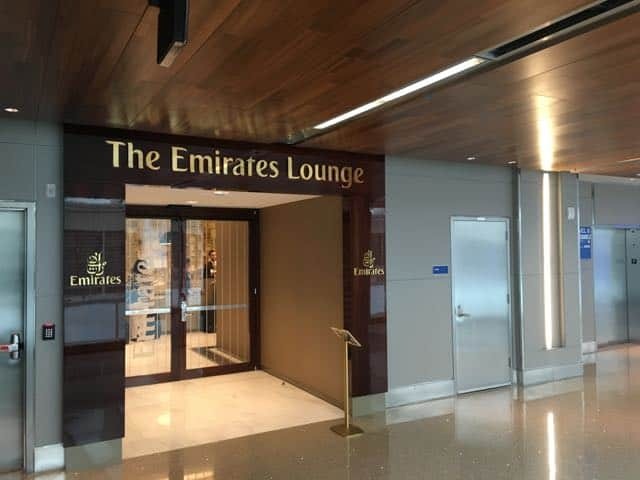 The Emirates Lounge LAX is basically brand new (it opened in 2015) and still has that new lounge smell. 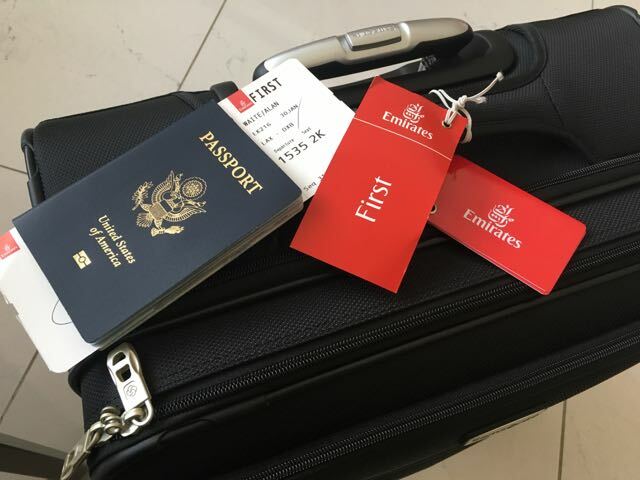 I forgot to get one of the famous Emirates bag tags at check in; so I asked for one at the lounge. The staff was all very friendly and happy to oblige. 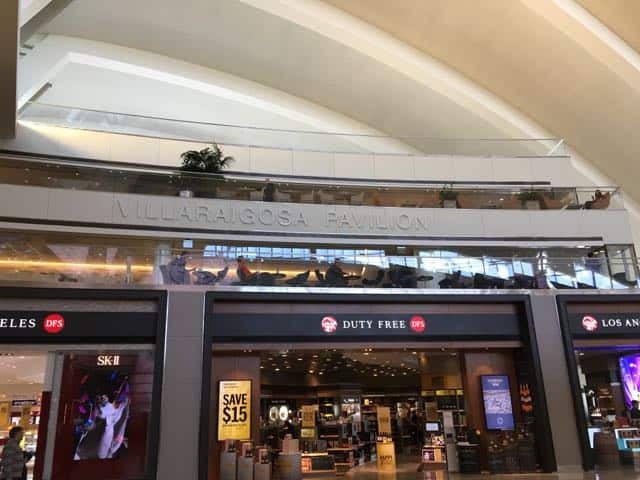 I first sat out on the “patio” that overlooks the terminal. I had a glass of wine that the server brought me before heading inside because the guests next to me where watching a tv show on their iPad without headphones. But the patio area is good for people watching and there is some great artwork in the terminal that is also entertaining. Inside there is the dining area with buffets and self service bars, computer work stations, and then rest of it is lounge seating. 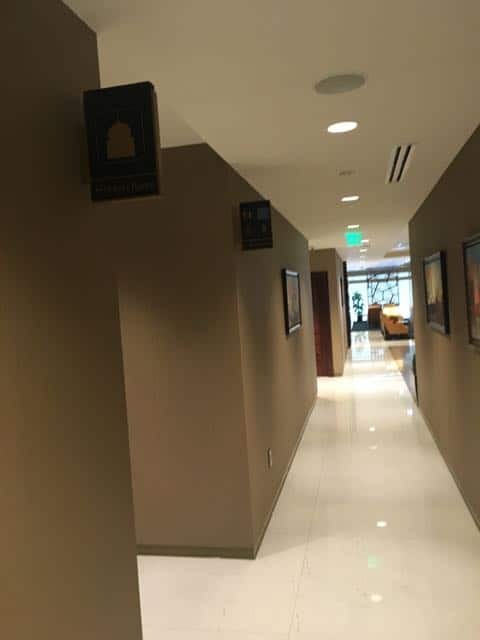 In the hall between the entrance desk and the lounge are restrooms (including showers) and prayer chapel. The food was impressive, by far the best I have had in a lounge (to that point in my life). 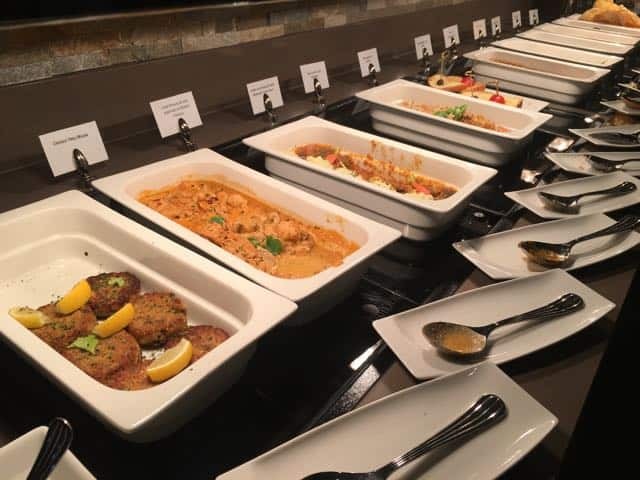 There is a hot buffet along the wall with dishes like crab cakes, chicken marsala, veggies and rice. 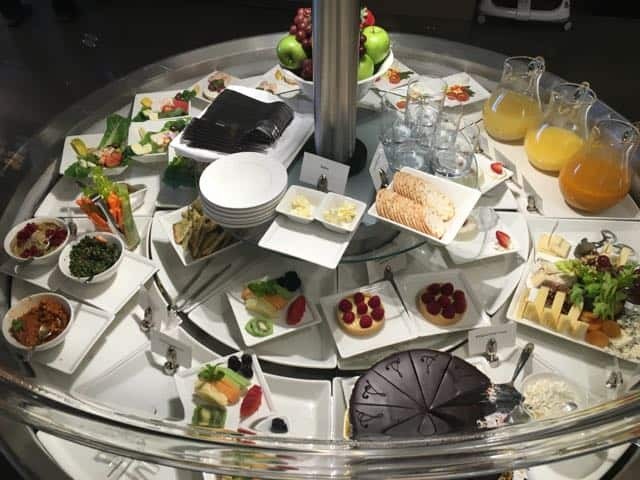 In the middle is a circular cold buffet with salads and desserts. 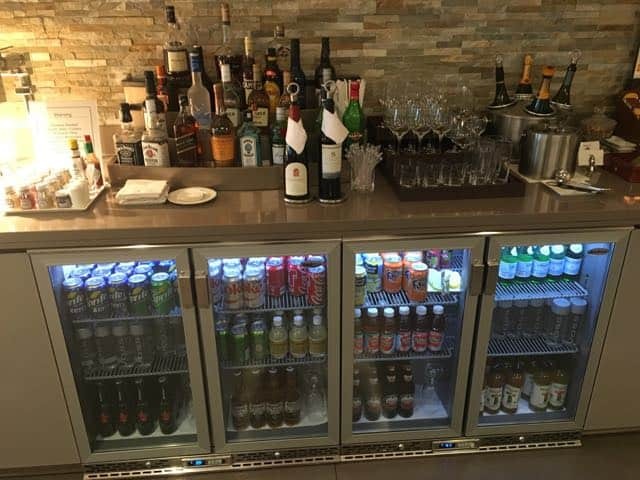 The self serve bar had a good selection of premium alcohol as well as nonalcoholic beverages. The only odd experience I had in the lounge was while using the bathroom. A female staff entered and begin to clean. For a second I questioned whether I had gone in to the wrong gender restroom, but then realized I was standing at a urinal. Once I was finished and walked to the sink she nonchalantly asked me about my day and my travel plans. 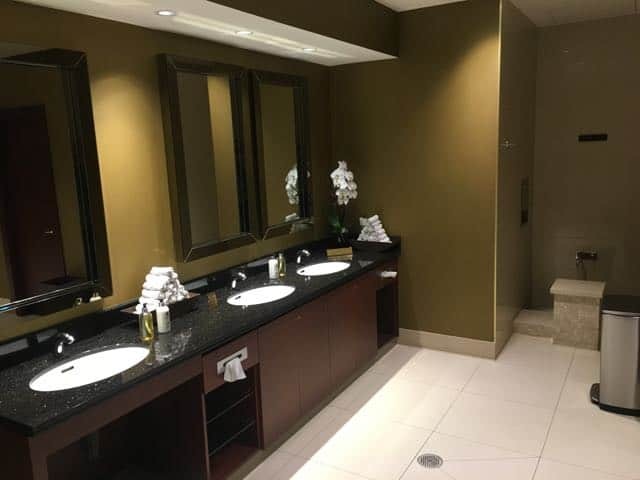 Very friendly, but still seemed odd to have a female employee in the mens room. An announcement came on when it was about 1 hour before take off, instructing us to make our way back down stairs to our gate. The Emirates Lounge LAX had filled up but there was still plenty of tables and lounge seating and did not feel crowded. As I made my way to gate 150 I spotted the four engine beauty that would be taking me to the middle east in style.